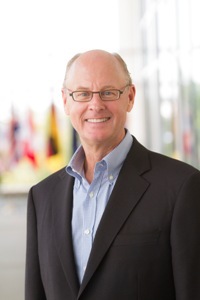 FREMONT, Calif., – Intematix, a leading innovator of patented phosphors and phosphor components for high-quality LED lighting, today announced that Warren C. Jenson, CFO and Executive Vice President of Acxiom, has been appointed to its Board of Directors, effective December 11, 2012. Having been named twice as one of the “Best CFOs in America” by Institutional Investor magazine, Mr. Jenson has a successful track record guiding corporations at important inflection points in their evolution. Before joining Acxiom, Mr. Jenson was COO at Silver Spring Networks, a provider of smart grid networking technology. Mr. Jenson has also served as CFO at Electronic Arts, Amazon.com and NBC. Mr. Jenson received both an undergraduate degree in accounting and a Master of Accountancy from Brigham Young University.